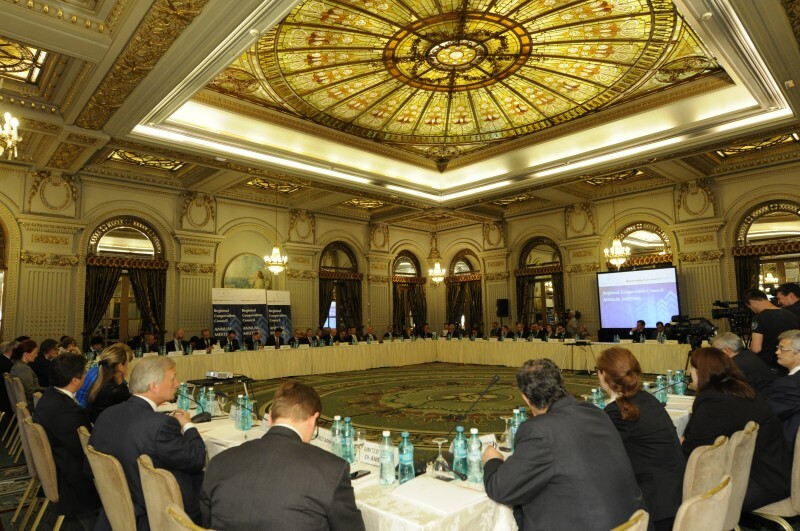 BUCHAREST – The 6th Annual Meeting of the Regional Cooperation Council (RCC) took place in Bucharest today. 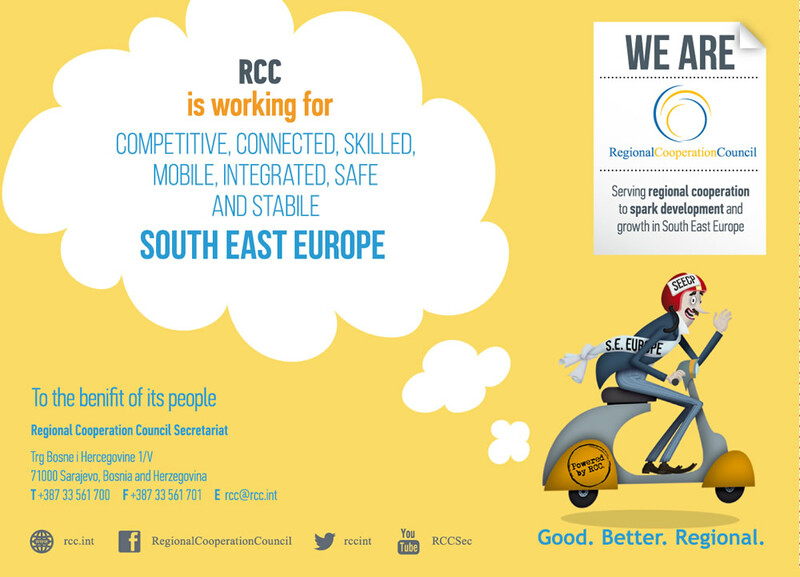 The meeting endorsed the report of the RCC Secretary General on Regional Cooperation in South East Europe (SEE) 2013-2014 and assessed the implementation of the RCC Strategy and Work Programme 2011 – 2013. The RCC Annual meeting, co-chaired by the RCC Secretary General Goran Svilanovic and the Minister of Foreign Affairs of Romania, Titus Corlăţean (current chair of the South-East European Cooperation Process - SEECP), discussed developments in regional cooperation within the RCC framework and endorsed the implementation of the RCC Strategy and Work Programme 2014 – 2016 as well as the RCC’s SEE 2020 Strategy. Co-host, Minister Corlăţean praised the role played by the RCC saying that the most important advantage of regional cooperation is the capacity to “increase confidence among the countries of the region, by gathering them in a common framework and developing joint projects”. He also pointed that EU Enlargement to the countries of South Eastern Europe “should remain a priority on the EU agenda and be reflected accordingly within the new institutional configuration at EU level”. RCC Secretary General, Goran Svilanovic, elaborated on the role of the SEECP as a political process and the RCC as its executive arm in “narrowing the gap between the EU and the countries of the region”. He stressed the importance of boosting the region’s economy to make these countries more suitable and more capable for EU accession. The Director General of the European Commission’s DG Enlargement, Christian Danielsson, spoke of the “very strong complementarity between what the European Commission is doing in Southeast Europe and the work of the RCC”. He also expressed the EC’s appreciation for the exchange of knowledge and networking that the RCC is facilitating in Southeast Europe through its SEE 2020 Strategy. 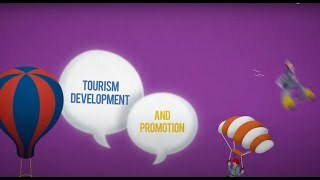 economy, job creation and good economic governance. was initiated and agreed by the governments of these economies during 2014 with RCC’s support. 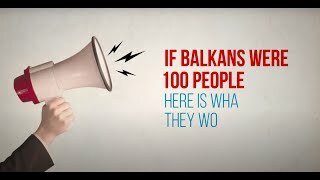 By implementing 86 strategic measures, the countries plan to remove trade barriers, jointly promote the region to foreign investors, fund shared research programmes, develop common energy and transport infrastructures, enable mobility of workers across the Balkans and improve government services and environment for doing business. Growth unlocked by these measures could create a million jobs by 2020 and bring the entire region closer to EU accession. Activities both at the national and regional level are being implemented and a number of instruments are being put forward to help the governments deliver. 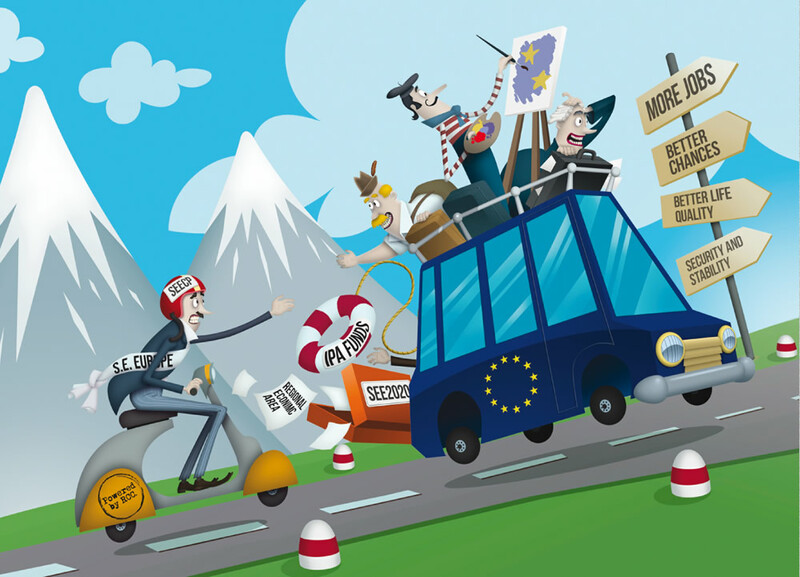 One such instrument that will be available for the implementation of SEE 2020 is IPA II – the EU’s instrument for Pre-Accession Assistance – which provides for EUR 11.7 billion over the next 7 years. The Annual meeting, co-organized by the Romanian SEECP Chairmanship-in-Office and the RCC Secretariat, precedes the Meeting of the SEECP Ministers of Foreign Affairs tomorrow (Saturday, 20 June 2014) and the SEECP Summit of Heads of State and Government later this month (25 June the 2014).